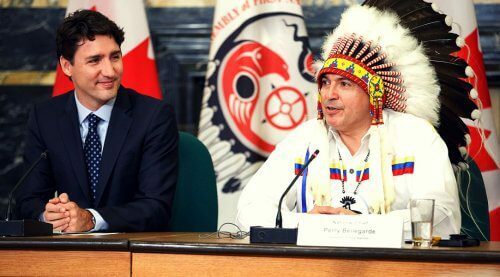 OTTAWA, Dec. 14, 2015 – Aboriginal affairs in Canada underwent a seismic shift in 2015. The release of the summary report of the Residential Schools Truth and Reconciliation Commission shook this country like few other events. 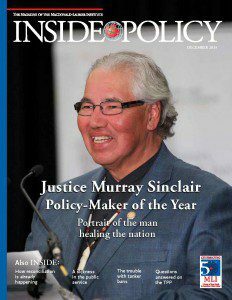 So who better to take the mantle of “Policy-Maker of the Year” for 2015 than the commission’s chair, Murray Sinclair? 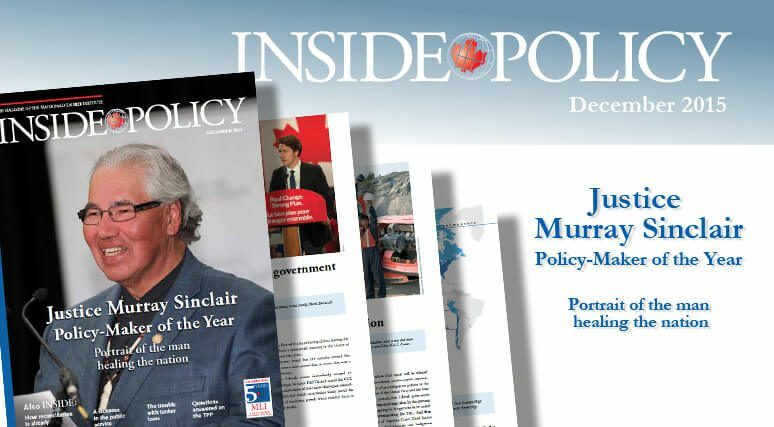 The December 2015 edition of Inside Policy, the magazine of the Macdonald-Laurier Institute, profiles Sinclair and his work with the TRC commission. To read the full version of the magazine, click here. In a moving interview with Inside Policy’s Robin Sears, Justice Sinclair recalls what he learned from the powerful testimony of 7,000 survivors in communities across the country, his personal connection to the tragedy of the residential schools program, and how he hopes his work changes Canada for the better. 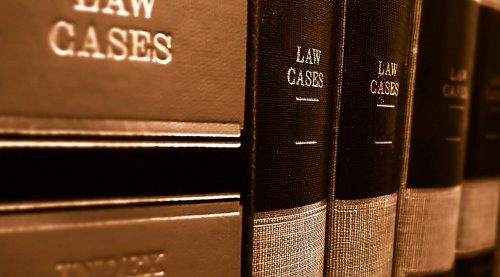 The TRC’s final report is due out this week. 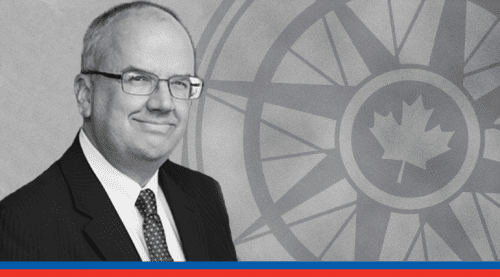 MLI Senior Fellow Ken Coates, in a companion piece, applauds the example Sinclair and the TRC set. 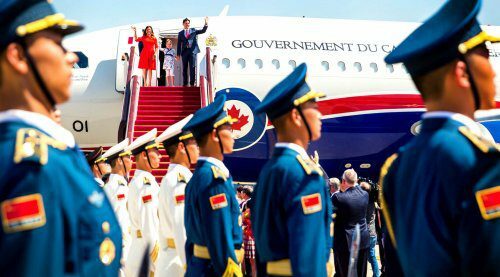 But, he points out, true reconciliation will be impossible if Aboriginal Canadians can’t significantly improve their prosperity, and there is a role for all Canadians to play. 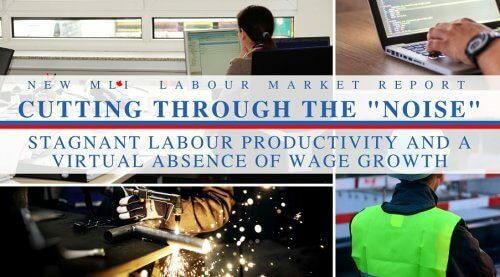 Senior Fellow Philip Cross examines why federal public employees take so much sick leave (because they can?). In an excerpt from his new book, The Inequality Trap, economics professor William Watson explains why poverty isn’t what it used to be. 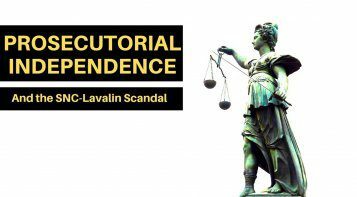 Inside Policy, the flagship magazine of the Macdonald-Laurier Institute, is published six times a year.